- Jurisprudential Maxims (Al-Qawa'id al-Fiqhiyyah): This course will introduce students to the basics of the development and use of jurisprudential maxims according to the teachings of the school of Ahlulbayt. - Qur'anic Studies (Ulum al-Qur'an): This course will introduce students to Qur'anic studies according to the teachings of the school of Ahlulbayt. - Introduction to Logic (Mantiq): This course will introduce students to the basic concepts underlying logic and logical thinking. Logic is employed in several Islamic disciplines, including theology and legal theory. 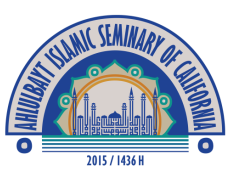 - Concepts of Islamic Theology: This course will cover several themes and concepts related to Islamic theology and creed according to the school of Ahlulbayt.